Setting up Twitter application will allow the integration with this platform. Currently, we only use the Twitter integration for Twitter Plugin however, this might be extended later. Enter the application name and description - This will be shown when application is used. Enter the Website and Callback URL - This is usually http://www.yourdomain.com. You must enter it in this format. 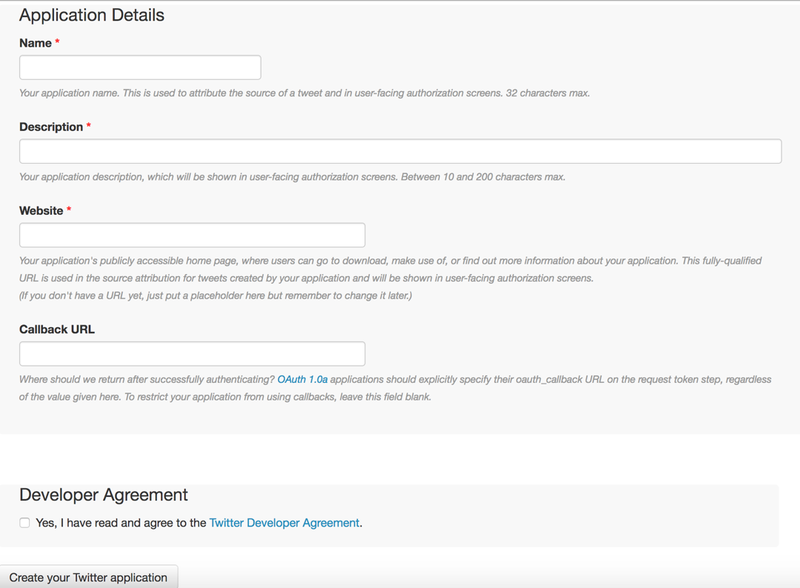 Agree to the Developer Agreement then press Create your Twitter Application button. In most cases, you will need to pass Consumer Key and Consumer Secret values for the integration to work. These values can be simply found in your new application on Twitter under Keys and Access Tokens tab.